When it comes to commercial and residential roofing services, the level of expertise in the business you choose is essential to the success of the project. However, just as important are the roofing products this business uses to get the job done. Even the best of the best roofing experts can’t outwork low-quality products. That’s why at Hopewell Roofing & Restoration, we place such a high priority on the roofing products and materials we use for our projects. 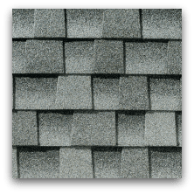 We proudly list the brands and types of products we use for our roofing repairs and systems, because these brands stand far above the competition. The highest quality products will enable your residential or commercial roofing to withstand the test of time and the elements—making the most of your investment. Great company to work with, such a friendly staff! Hopewell helped my parents get an insurance claim approved, and upgraded them free of charge to a lifetime roofing system. Couldn't speak higher of Hopewell!!! At Hopewell, we are picky about the products we use for our roofing systems. We know that when we stand by a brand name, we are aligning ourselves with that company and product. This is why we carefully select each and every product and material we use for our services to ensure it meets our high standards for excellence and quality. Below are some of the top products we are proud to offer to our residential and commercial roofing customers. Visit each page to learn more about each product category. 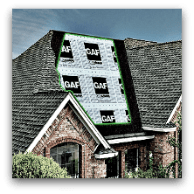 We are proud to stand beside the GAF Timberline shingles as our preferred brand. For more than 100 years, GAF has been North America’s largest manufacturer of commercial and residential roofing. That’s a lot of experience! GAF’s Advanced Protection™ shingles is the #1 brand in North America. We provide the perfect finishing touch for your new roof with distinctive and protective (as well as award-winning) Timbertex® caps. These shingle caps complement any type or color of laminated shingles. Furthermore, the StainGuard® Ltd. Warranty protects from the development of blue-green algae on your ridge cap shingles. We feature the best underlayment option in the industry—Weather Watch® creates an effective leak barrier, protecting your home or business roofing system from harmful water damage. This underlayment also helps to cut down on the leaks that result from water damming in gutters and rain driven by strong winds. Our pre-cut starter strips are a cost-effective product that locks your shingles into place. We use Dura Grip™ Adhesive to keep roof edges down, protecting them at their most vulnerable points. Hopewell’s starter strips also create an attractive, clean, streamlined look for your roof. 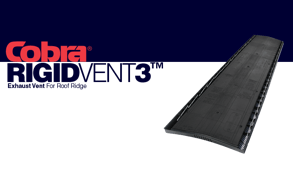 We are proud to feature the Cobra® Rigid Vent 3™ exhaust vent. These vents have been put to the test and effectively keep rain out, even in wind as high as 110 miles per hour! 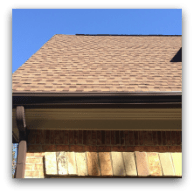 These ridge vents are a key component of our GAF Lifetime Roofing System. Plus, we back it with a warranty that removes uncertainty from the equation. Gutter-Mate is our choice for an environmentally-friendly system that filters and diverts rainwater, preventing blockages and dripping. It also protects against soakaways while making gutter cleaning more convenient than ever—no ladder required! To top it off, Gutter-Mate offers a no-clog lifetime guarantee. 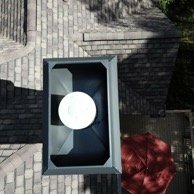 We can custom make any size or color chimney cap and shroud for any residential application. The number one cause of leaks after a new roof has been installed is a failing chimney cap. Chimney caps are supposed to have a convex design to ensure proper water drainage. Over time the chimney cap with deteriorate and become less convex and be more concave, ultimately causing water to collect and eventually enter the home. We specialize in installing all types of standing seam metal roofing. Standing seam metal roofing is a perfect solution for residential & commercial low slope applications. 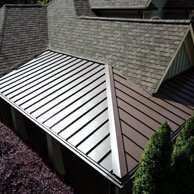 Standing seam metal can be installed over the existing roofing material. 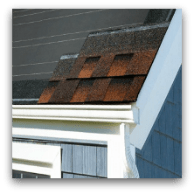 Standing seam roofing comes in a wide variety of colors, gauges and metal types to ensure a perfect match for any application. Contact our expert team today to ensure your commercial or residential roofing project only uses the best of the best roofing products and materials.